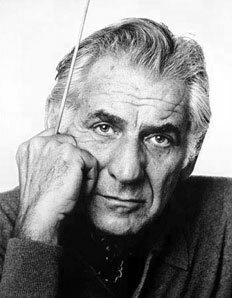 25.8.2018: One hundred years ago on this day, the great composer and conductor Leonard Bernstein was born in Massachusetts. His most successful stage works include such musicals as On the Town, Candide, and West Side Story. He studied piano and composition at Harvard, conducted at the Tanglewood Music Festival for the first time in 1940, and soon became a sought-after conductor worldwide. Bernstein died of acute heart failure on October 10, 1990. Works by Bach, Mendelssohn, Schostakowitsch, Koetsier, Lutoslawski u.a.